Planning a trip for your students or little ones to the Children’s Museum of Houston? National Charter Bus will arrange safe, reliable, and comfortable transportation for your upcoming trip to the museum. Trust us to book the perfect bus accommodations for you! Call our 24-hour team today at 713-234-6591 to get started. Since 1992, the Children’s Museum of Houston has grown and expanded to include more than 83,000 square feet of space aimed not only at educating children, but also at supporting parents and teachers in their efforts to provide the best possible education to their young ones. 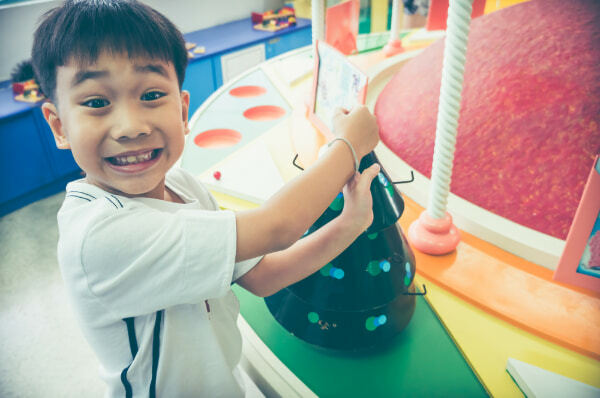 Exhibits reinforce important educational stepping stones in children’s development while providing opportunities to learn new things in a bright and colorful environment. The Children’s Museum of Houston houses 14 permanent exhibits, all of which will help expand visitors’ minds and provide unique learning opportunities. While traditional school buses may be available for your Houston field trip, these buses are often old and dated. Instead of relying on an old bus model, book a clean, modern coach for your trip to the Children’s Museum! National Charter Bus books a variety of bus models for school groups of all sizes, including full-sized 56-passenger charter buses and compact 20-passenger minibuses. If you’re in need of multiple buses, we’ll put together a fleet that fits your group’s needs exactly. We’ll also pair your group with an experienced driver who will ensure that you arrive safely to the Children’s Museum and to any other stop you have planned for the day. You’ll be able to relax knowing that your travel services are handled by a professional, reliable driver. The Children’s Museum of Houston has something for every child, from babies just learning to crawl to preteens yearning to embark on a top-secret mission to save the museum. While the museum’s exhibits are primarily aimed at children ages 0-12, older visitors are welcome to attend as well, as long as each group includes at least one child. This ropes course sends children ages 5-15 across seven obstacles in a test of agility, stamina, and balance. Anyone who’s up for the challenge can give it a go-- just make sure that you’re wearing closed-toed and closed-heeled shoes! Designed for children ages birth-35 months, Tot*Spot features a path of twists, turns, and bumps through which toddlers can navigate with the help of their parents. Knobs, switches, and other buttons are also scattered throughout the exhibit to help children learn about the effects of simple everyday actions. 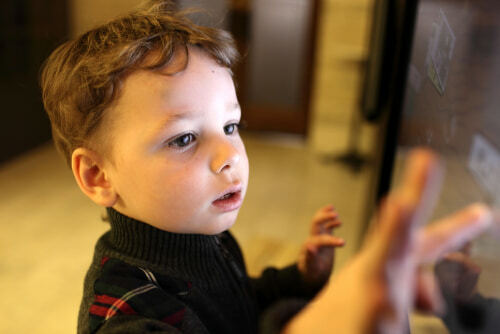 If you’re not sure what else your toddler can experience and enjoy at the museum, the Tot*Spot webpage has more information on how to make the most of the museum’s exhibits! This indoor/outdoor environmental exhibit features a garden, a woodland area, and a pond through which children can learn about ecology and environmental issues. Hands-on activities help children learn how our environment is cared for and preserved. 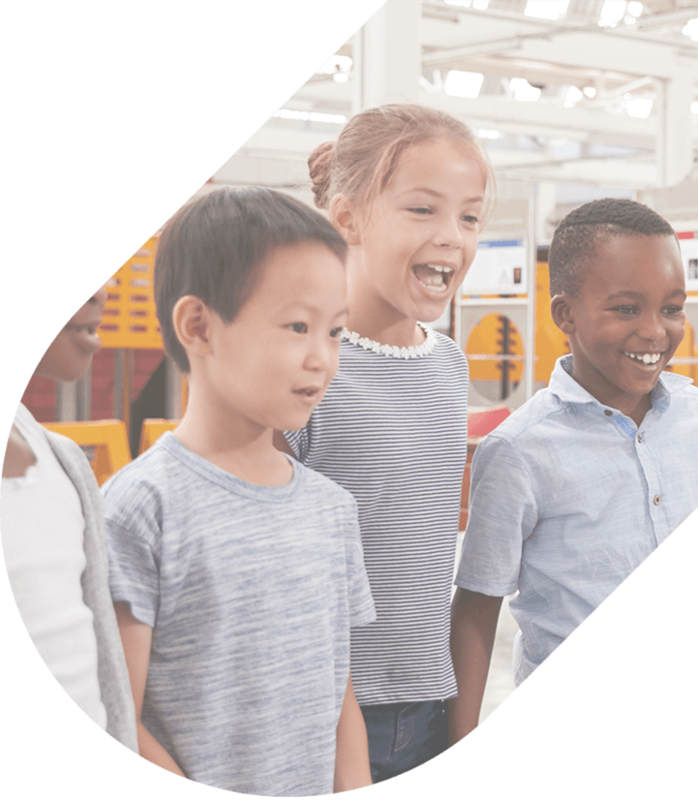 This extensive gallery is broken down into multiple sections, in which children can build their own roller coaster, design a car, and explore other scientific concepts such as how electricity travels through a wire and how machines impact our daily lives. 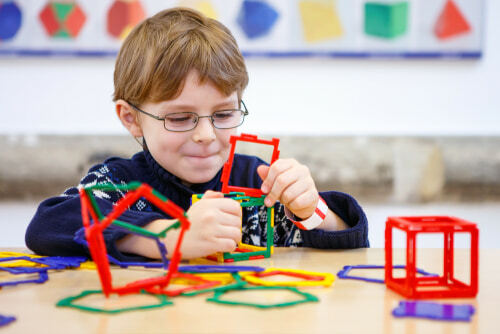 The Inventor’s Workshop promotes creative thinking by allowing children to explore the invention process, teaching them that mistakes are inevitable and crucial to the process, that working in a team can help facilitate new and important ideas, and that sometimes the best way to learn is by doing something yourself. The Kidtropolis exhibit mirrors a real-life city, with a full government, city hall, bank, market, school, diner, and much more. Kids can choose to take on the role of a city leader, a worker, a voter, a shopper, or a business owner to learn how each citizen plays a key role in keeping real-life cities running. Kids 7 and older can join the museum’s Special Elite Crime Resolution and Espionage Team to uncover clues hidden throughout the museum and outsmart R.I.V.A.L., the Ridiculously Intelligent Villainous Agent League. Kids are sent on secret missions throughout the museum to help defeat R.I.V.A.L.’s villainous leader, Arcturus Vex, and save the museum from doom! Keep in mind that the S.E.C.R.E.T. experience is an extra $32 on top of your general admission fee. The Children’s Museum of Houston is open Tuesday-Saturday from 10:00 a.m. to 6:00 p.m., except for Thursday when the museum’s hours are extended to 8:00 p.m. Sunday hours begin at 12:00 p.m. and end at 6:00 p.m. The museum is closed every Monday, except on select holidays and during the summer months from Memorial Day-Labor Day. If you’re planning to visit with your family, Thursday nights are Free Family Nights, during which admission is free from 5:00 p.m. to 8:00 p.m.
Sensory-friendly days are also held on select Mondays, when the museum is normally closed to the public. While the Children’s Museum of Houston is generally sensory-friendly, the museum takes extra steps on designated sensory-friendly days to reduce lighting and sound and keep crowds to a minimum so that visitors with autism spectrum disorders and sensory processing differences can enjoy a fun and educational day. On days that are not designated “sensory-friendly,” earmuffs and sunglasses are available at the information booth for your use. The Children’s Museum of Houston houses multiple event spaces for up to 2,500 guests, offering event services for both the young and the young-at-heart. The museum accommodates children’s birthday parties, corporate gatherings, and even weddings in any of their numerous facilities. If you were disappointed that you were too old to participate in the S.E.C.R.E.T. mission, no worries-- businesses can arrange for a private team-building event in the museum, during which employees can work their way through the museum’s hidden clues, all while boosting morale and facilitating healthy communication between coworkers. If you need help transporting your event guests between the museum and a nearby home or hotel, National Charter Bus has you covered. We’ll bring your group into Houston, ensure that you’re dropped off at the museum in a timely manner, and provide guaranteed, safe transportation back home once your event has wrapped up. Leave the driving and transportation logistics to us while you focus on enjoying your time at the museum! Ready to book? Whether you’re traveling for a field trip, personal outing, or corporate event, National Charter Bus has you covered. Call our 24-hour reservation specialists today at 713-234-6591 to learn more about how we can help transport you to the Children’s Museum of Houston with ease!